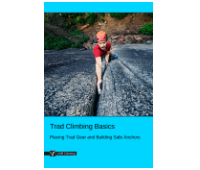 This 'Top Roping' article is part of the e-book - Trad Climbing Basics. With the security of an anchored rope above, top roping is the safest way to climb. A top-roped climber can rest on the rope whenever they are too tired to continue, safe in the knowledge that they will only fall a few inches. Top-roping is great for beginners, large groups or for experienced climbers who want to push their physical limits. 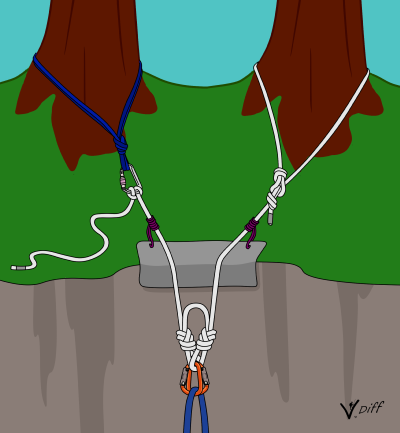 Despite the relative safety of top-roping, climbers must adhere to safety procedures to avoid accidents. 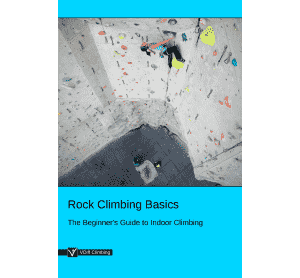 Anchors must be bomber, the rope must be attached correctly, and the belayer must be competent. This section discusses the first two types of top-roping. These can be set up on crags which are less than a rope length high. 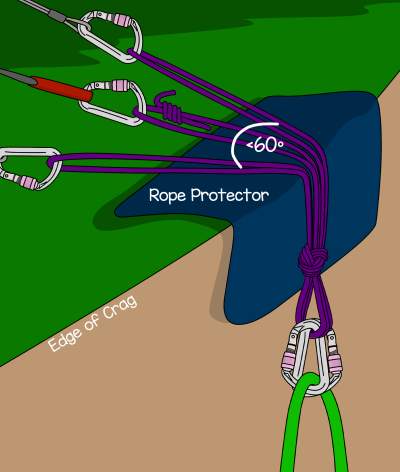 Find enough good gear placements directly above the route to make an anchor, making sure they meet the requirements of the six point rule. Equalize them together with slings, cordelettes or a section of static rope to create a central point which fulfils the criteria in the anchor check list. Remember that the top roping anchor will be out of sight and not consistently weighted while you are climbing. This means you will have to build it with gear that cannot wiggle out of position with movements in the rope. Extend the central point over the edge of the crag, if it isn't already. Static rope is the best for this, but you can also use nylon slings or a thick cordelette. Make sure to double up the slings or static rope which extend the anchor over the edge. Place a rope protector over any rough edges. An old piece of carpet, foam pads or garden hose pipes (without metal lining) make good rope protectors. Clip the middle of the rope to the central point with two screwgates. Make sure the screwgates are opposite and opposed (they are facing opposite ways and the screws twist downwards to fasten them). Forces on gear when top-roping are much less than forces on gear during a leader fall. 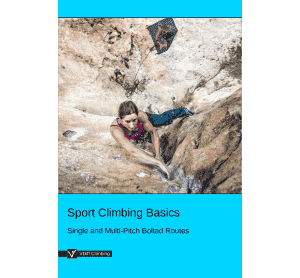 However, with a little slack in the system, the force at the anchor could easily exceed several times the combined weight of the climber and belayer. The anchor needs to be bomber. Be careful when walking around the top of a crag un-roped. You may need to make an anchor further back from the cliff edge and then be put on belay while you set up the top-rope anchor. Depending on the crag and the anchor arrangement, you may choose to belay from the top or the bottom. When belaying from the top, the climber is often lowered down and then climbs out. If possible, it can be much better to belay directly from the anchor. This keeps the climber’s weight off the belayer’s harness. 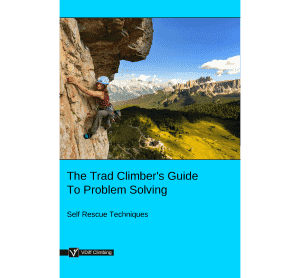 If lowering is impractical (e.g: it could damage the rope or it’s difficult to communicate when to stop being lowered), the climber could abseil down instead. This could be on the same rope, or a separate one. Plan logistics well before descending to avoid problems. Even if your anchor is bomber, extended and well padded, it is wise to check it periodically if it is being used repeatedly. If the anchor pieces are far back from the edge of the crag, it may be better to use a length of static rope to equalize and extend the anchor over the edge of the crag.